The firm is supporting the live quiz app's consumer PR. NEW YORK: Live quiz app HQ Trivia has brought on Kovert Creative to support consumer PR efforts. Kovert started working with HQ on January 14, according to a source familiar with the matter. The firm will help HQ as it announces "many exciting partnerships" in the near future, the source said. 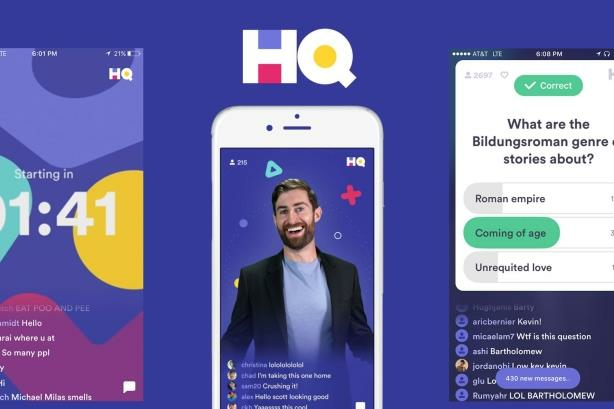 Kovert will focus on HQ as an entertainment platform and work closely with the hosts, including Scott Rogowsky, to identify and secure appropriate media opportunities on their behalf, said the source. On Monday, HQ hosted a special musical-themed show for "Rent: Live," which will air on Sunday on Fox. The quiz show included appearances by the show’s cast. HQ also gave away rent for a year to one randomly selected winner from contestants who answered all questions correctly via a sponsorship agreement with Fox. Kovert promoted the event to media outlets last week. Congratulations to @AllisonMY for winning FREE RENT for a year ?? In April 2018, Flock Comms principal and founder Kristen Alsterklint, who led HQ Trivia’s communications as a consultant since November 2017, wrapped up her work with the app. Alsterklint was brought on to help HQ navigate its response to a Daily Beast story in which HQ CEO and cofounder Rus Yusupov threatened to fire Rogowsky for talking to the media outlet about salad. The incident became known in popular culture as #SweetgreenGate. Hiltzik Strategies supported HQ’s PR efforts last year, a person familiar with the matter told PRWeek last April. HQ became a cultural phenomenon last year, peaking as the App Store’s second-most-downloaded app in February 2018. However, HQ Trivia dropped to the 253rd -most-popular in November, and in December the company suspended its service in the U.K. The quiz’s player numbers have steadily declined in recent months. HQ said in a statement that its game commands the largest live audience on mobile, which is bigger than most cable channels and every social network including Facebook, YouTube, Twitter, and Twitch. Last month, HQ cofounder Colin Kroll was found dead in his Manhattan apartment of an apparent drug overdose, according to media reports. Other recent account wins for Kovert include True Food Kitchen, Makers Mark, and Bulletproof Coffee founder and best-selling author Dave Asprey. Kovert Creative was launched in early 2016 by PMK-BNC veterans Lewis Kay and Joseph Assad, who serve as co-CEOs of the firm, which divides its focus between representing celebrities and brands. Kovert’s biggest client is Cadillac, which it has worked with as global PR AOR since April 2016. Representatives from HQ and Kovert were not immediately available for comment.